As a poet, author, and keen observer of life in 1870s Boston, Harriet Robinson played an essential—if occasionally underappreciated—role in the women’s suffrage movement during Boston’s golden age. Robinson flourished after leaving behind her humble roots in the mill town of Lowell, Massachusetts, deciding to spend a year in Boston discovering the culture and politics of America’s Athens. An honest, bright, and perceptive witness, she meets with Emerson and Julia Ward Howe, with whom she organizes the New England Women’s Club, and drinks deeply of the city’s artistic and cultural offerings. Noted historian Claudia L. Bushman proves a wonderful guide as she weaves together Robinson’s journal entries, her own learned commentary, and selections from other nineteenth-century writers to reveal the impact of the industrial revolution and the rise of women’s suffrage as seen through the experience of one articulate, engaged participant. 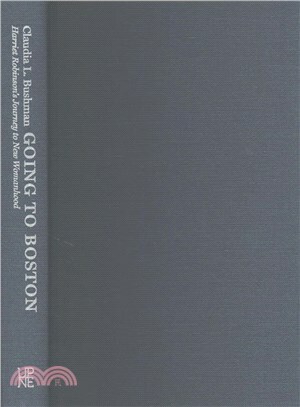 Going to Boston will appeal to readers interested in both the history of Boston and the history of American progress itself. CLAUDIA L. BUSHMAN taught American studies at Columbia University. She has written numerous books and articles, including Contemporary Mormonism: Latter-Day Saints in Modern America.